A Novotechnik T50 (T/TS Series) is located inside an oil-filled cylinder. It is located in the cylinder for pressure compensation and to have the sensor operating in a good environment, since the AUV operates underwater at a depth of as much as 3,000 meters. 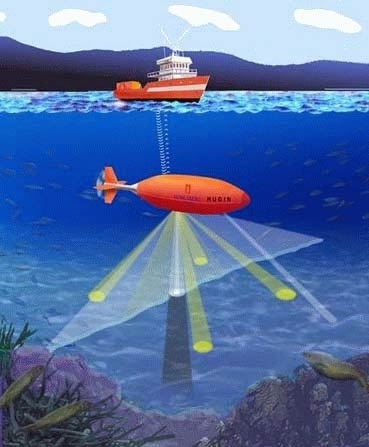 The linear sensor is directly connected to the Inertial navigation system of the AUV.